Christina Hagan, left, at a campaign event in March. On the right, FirstEnergy Corp.'s transformer in Beaver Valley Power Station in Shippingport, Pa. Facebook / FirstEnergy Corp. This article was co-published by Slate and the Columbus Dispatch. 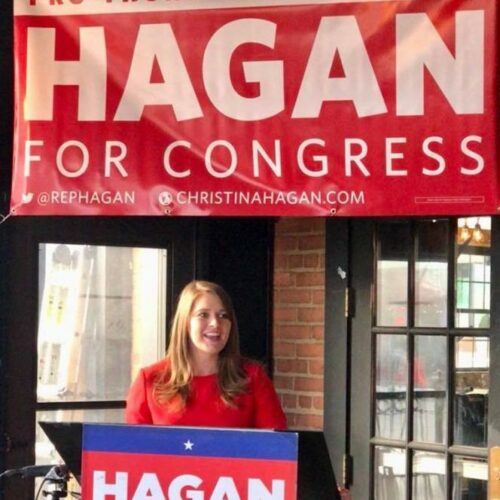 Christina Hagan, a state representative who was running in the Republican primary for Ohio’s 16th congressional district seat, said a group called the Conservative Leadership Alliance targeted her with a barrage of attack ads after she declined to support legislation Akron, Ohio-based electric company FirstEnergy had lobbied her to help pass. The Conservative Leadership Alliance’s treasurer is Marc Himmelstein, who has worked for years as a FirstEnergy lobbyist in Washington, D.C. FirstEnergy has paid Himmelstein’s firm, National Environmental Strategies, $640,000 since 2010, according to congressional lobbying filings. Hagan — an avowed supporter of President Donald Trump — placed second in the May 8 primary, with 41 percent. “Both sides were seeing this as really competitive and the possibility that either one could potentially take it,” Poggione said. In an April hearing for House Bill 178 — which ultimately did not pass — FirstEnergy CEO Charles Jones told members of the House Public Utilities Committee that “Ohio cannot afford to continue heading down a path that could lead to less fuel-diverse and fewer homegrown energy resources, more energy imports, fewer jobs and less economic growth — not to mention more volatile electricity prices for our customers and your constituents,” according to the Cleveland Plain Dealer. The company’s nuclear and coal-fired power plants have been struggling to remain profitable in recent years because natural gas prices have been so low. Executives have asked the federal government for emergency funds to help keep some its plants operating. Half of that money — $56,500 — bolstered Gonzalez. The other half funded ads opposing Hagan, according to Federal Election Commission records. CLA Inc. has additionally aired political issue ads that targeted Rep. Walter Jones, R-N.C., and praised Rep. Martha Roby, R-Ala., while not overtly advocating for their re-election or defeat. The true nature of CLA Inc., is murky. It does not appear to be a political action committee or super PAC, as it has not registered itself as such with the FEC. The Supreme Court’s 2010 decision in Citizens United v. Federal Election Commission allowed certain kinds of nonprofit groups, including 501(c)(4) organizations, to spend unlimited amounts of money to independently promote or oppose political candidates — so long as they do not, in practice, spend 50 percent or more of their money on politics, per IRS rules. Hagan said “dark money” shouldn’t “be able to hide” — a view many in the Republican party disagree with. Since Jan. 1, 2017, the company’s political action committee has spent $442,500 to support federal political campaign committees and other PACs. 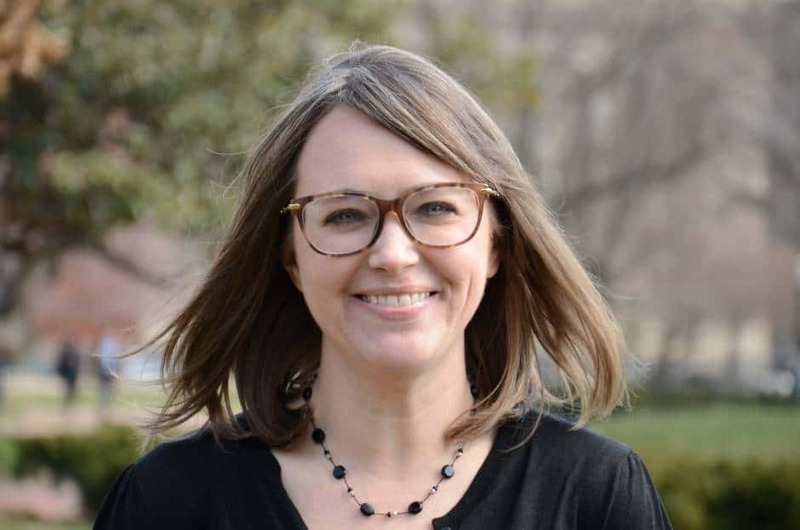 It supports both Republicans and Democrats, but in recent years has favored Republicans, according to data maintained by the nonpartisan Center for Responsive Politics. 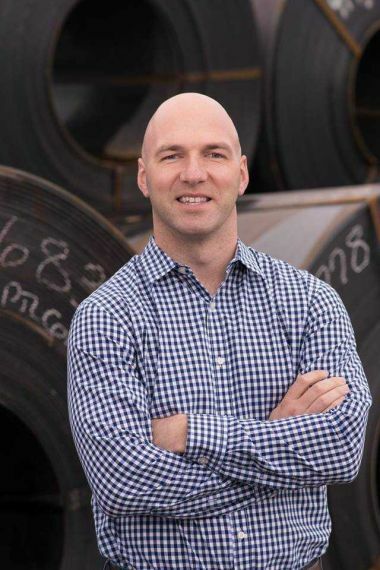 The company’s PAC, which is a separate entity from the Conservative Leadership Alliance, has been supportive of Gonzalez this year, giving his campaign $5,000 for the primary race and $5,000 for the general election — the maximum contributions allowed by PACs to congressional candidate committees. In all, Gonzalez has raised $1.1 million and spent $677,200 between Jan. 1, 2017 and April 18, the end of the latest filing period. Hagan pulled in $386,200 and spent $261,000 in the same time period.